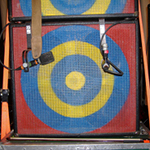 Sub Pop won’t disappoint you of you’re in search of super-distorted buzzing chainsaw guitars. However, there’s a bit more range and depth to Red Red Meat’s musical tossed salad, Jimmywine Majestic. The somber “Brain Dead” has some acoustic strumming and Kurt Cobain–like mumbling to it. The greasy electric slide on “Smoky Mountain Dbl Dip” makes me think these guys spend a lot of hours fixing up their beat-up cars for nights of cruising around, jamming to the Stones. “Moon Calf Tripe” has some meandering psychedelic instrumental guitar for most of the song. “Ball (Verb)” is cow-poking Flaming Lips–style weirdness rock. 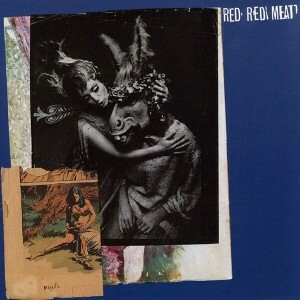 I’d recommend Red Red Meat for those who enjoy a variety of styles incorporated into one band.